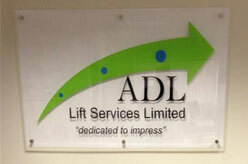 ADL Lift Services Ltd is based in Motherwell, Scotland. ADL offers supplying, installing and maintaining lifts throughout The UK and Channel Islands. Lift Design and Manufacturing – can design, develop and tailor-produce customised “bespoke” solutions for customers including architects, developers and engineers. ADL Lift Services uses Eco-friendly and energy saving technology. Page updated : 12th October, 2017.